Haynes Publishing UK, 9781785215896, 128pp. 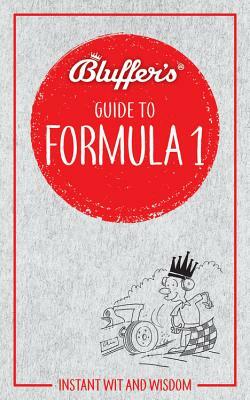 Instantly acquire all the knowledge you need to pass as an expert in the high-octane world of Formula 1. Never again confuse a prancing horse with a red bull, an airbox with a halo, a bargeboard with an endplate, or a blast of G-force with a burst of downforce. Bask in the admiration of your fellow petrolheads as you pronounce confidently on the comparative driving skills of Graham Hill and Jim Clark, or whether the fiercest rivalry in F1 history was between Lauda and Hunt or Senna and Prost. Most importantly, effortlessly hold your own when extolling the sublime gifts of possibly the greatest racing driver who has ever lived - namely you (if only your potential had been recognised). DO QUOTE: "What’s behind you doesn't matter." (Enzo Ferrari) DON’T SAY: "Is Formula 1 a sport or a business? Either way it’s all about who’s got the best car." Roger Smith is a leading authority on Formula 1 who has suffered from a chronic case of ‘F1 fever’ since he was still wearing short trousers in 1957. Unfortunately it’s incurable. The touchstone for his lifelong passion for Grand Prix motor racing was the heroic first Vanwall triumph by Moss/Brooks at Aintree in 1957 (Race 61). Helplessly stricken he began to attend every Formula 1 race possible in the 1960s. Since then he’s been soaking up the sport and its history like an oily rag, and has now visited every Grand Prix circuit on five continents. His first book was Analysing Formula 1. This led to regular appearances on BBC radio as presenter and resident expert. More recently he has also published the authoritative Formula 1: All the Races. He has spent his professional life working with and making use of statistics, latterly as Managing Director, Europe, of Nielsen Television Ratings, the leading worldwide source of ‘currency’ viewing figures for broadcasters and advertisers.